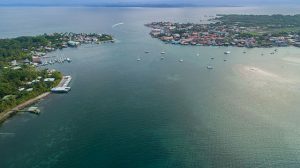 Bocas del Toro is an unique island destination in many ways. It is a predominantly English speaking part of a Hispanic nation, with a more Afro-Caribbean feel to it than what you would find in other parts of Panama. Sometimes called the Galapagos of the Caribbean, the reefs and waters of Bocas offer unparalleled scuba diving and snorkeling. The quirky retro culture of backpackers, sailors and expats that came into existence as a result of the surfing, sailing and diving crowd, now coexists with a growing trend toward luxury travel. With some of the most diverse plant and animal life to be found anywhere and miles of serene white sand beach, the stunning isolated beauty of Bocas has built its reputation as one of the most beautiful archipelagos on the planet, drawing travelers of all ages, types and budgets. The islands all have unique personalities as well. The smaller populated islands have a more indigenous feel to them. Isla Bastimentos has many inhabitants who are descendants from Jamaican or West Indian settlers. Isla Colón has more Panamanians from the mainland mixed with foreigners, expats and indigenous peoples. There is no shortage of things to do and see in Bocas. Most will start with Bocas Town on Isla Colón. 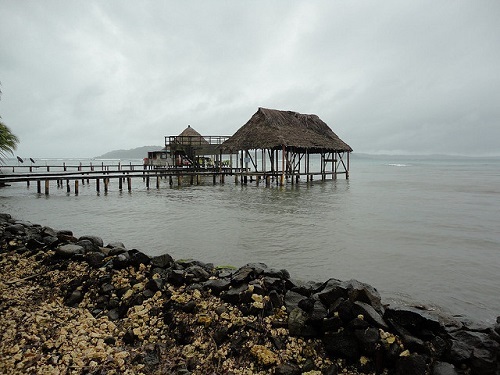 There are numerous tours and activities offered out of Bocas Town. A variety of daily sailing tours can be booked through Bocas Sailing. (BocasSailing.com) The tours generally include snorkeling, lunch and $1 drinks for purchase. A sea turtle tour of the Bluff Beach Municipal Reserve offers the chance to see leatherback and hawksbill turtles nesting or hatching, depending on the season. There are many snorkeling and diving excursions available to locations such as Cayo Coral or Isla Zapatillas, where you can experience a fantastic variety of colorful underwater life. Renting a bike is another fun activity on Isla Colón. It takes about one hour to bicycle from Bocas Town to Punta Bluff at the other end of the island, with much to see and plenty of places to stop for a quick rest or a drink. Random Art Bocas offers Caribbean art and cooking classes. The art classes are fun for children as well as adults. Relax in a beautiful setting with a glass of wine as you paint, or take a cooking class. It is a great way to have fun and meet other travelers. 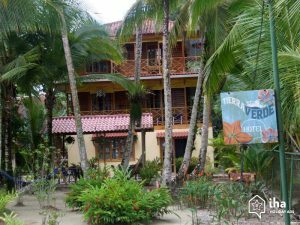 Bocas del Toro Spanish School offers top rated Spanish classes by the beach. The Finca los Monos (the Monkey Farm) Botanical Gardens has beautifully maintained gardens and offers tours. (bocasdeltorobotanicalgarden.com) Monkeys and sloths swing through the trees overhead as you admire the palms and exotic plants. It is also possible to book a tour to the Oreba Chocolate Farm. Chocolate from Panama is considered to be some of the world’s best. Oreba is operated by Ngabe farmers and demonstrations in native dress show how chocolate has been made by the natives for hundreds of years. 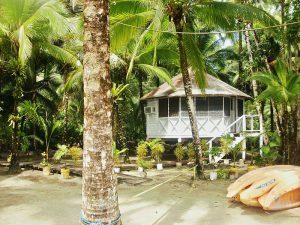 Although the farm is in Almirante on the mainland and not on the island, tours are booked and originate from Bocas Town. The boat ride takes about 15 minutes (bocasdeltoro.travel). Also, don’t miss Bocas Brewery, which offers 9 taps of craft beer, a full menu, live entertainment and a nice deck where you can watch the sunset. 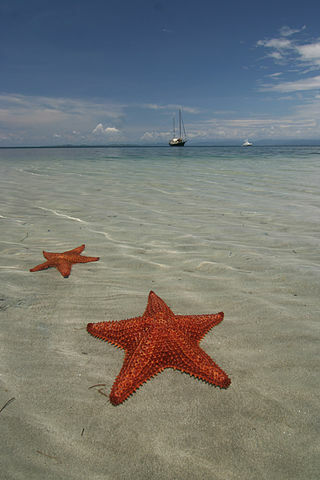 The most popular beach on Isla Colón is Starfish Beach on the western end of the island. With calm waters sheltered from waves and strong tides, this beautiful beach lives up to its name with numerous colorful starfish visible through the clear, calm waters. While Isla Colón is where most of the businesses and shops are located, Isla Bastimentos is a great place to go to relax and enjoy nature. The Isla Bastimentos National Marine Park covers over 32,000 acres and is home to sea turtles, sloths, monkeys, crocodile and 28 species of amphibians and reptiles, including the rare strawberry poison-dart frog. 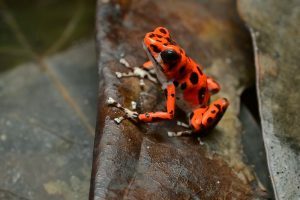 The frogs on Isla Bastimentos are a bright red with black polka dots, but are the same species as the green and yellow polka dotted frogs of Isla Colón, the bright orange ones of Isla Careneros, the green ones of Isla Popa and the blue ones found on the mainland. 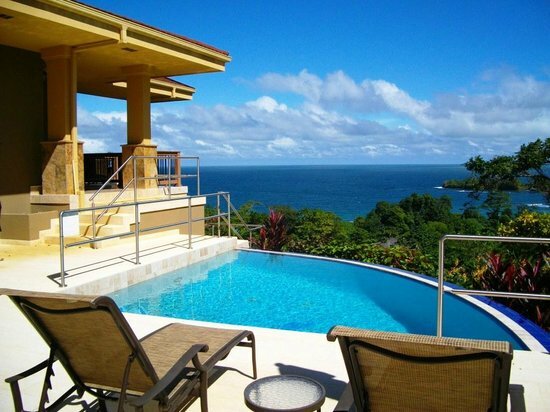 Red Frog Beach, a popular destination named after these little chirping frogs, offers the luxurious sophistication of the Red Frog Resort and Villas, with access to a seven zipline canopy tour of the nearby tropical forest. For the even more adventurous, there is the Bastimentos cave tour. The tour starts at Isla Bastimentos’ main settlement, Old Bank. From there it is a 25 minute boat ride to the channel entrance. 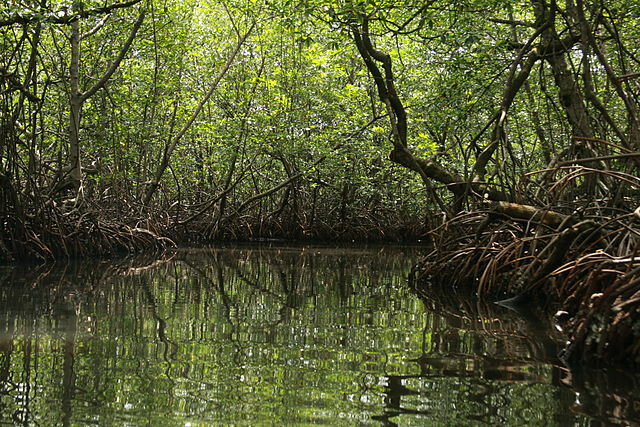 Next, the trip continues through the mangroves and dense vegetation to a dock. From there, it is a half hour hike to the cave. The provided headlamps enable you to explore the massive cavern which has swarms of nectar bats and a subterranean lake and waterfall. The four mile wide Isla Cristobal attracts visitors to its water labyrinth created by mangrove channels where you can observe bottle nose dolphins and manatee. Isla Cristobal also offers half and full day horseback adventure tours through Panama Horseback Adventures (panamahorseback.com). There are three Indian villages on the island. 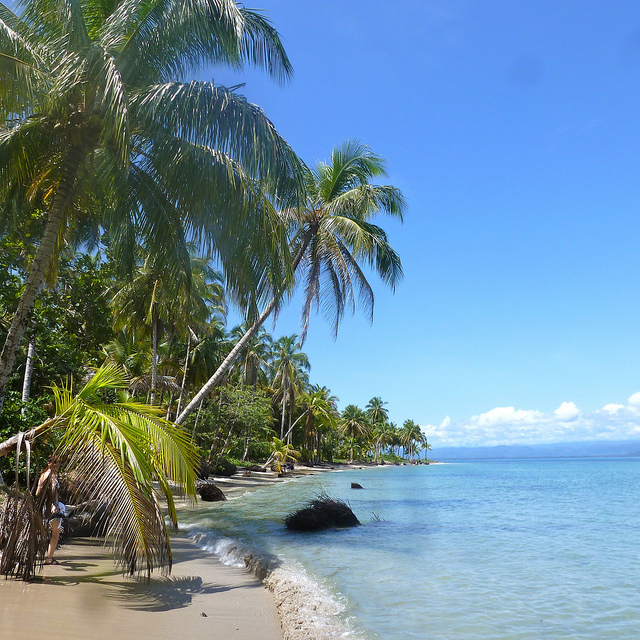 The beautiful and forested Isla Carenero is reachable from Bocas Town by water taxi. The island can be hiked in about an hour, after which you can enjoy some of the best seafood of Bocas at one of its restaurants. The Zapatillas Islands have beautiful beaches, snorkeling and dolphin watching. The two gorgeous islands are a half hour by boat from Bocas Town and are part of the Bastimentos Marine Park. They are undeveloped and perfect for those looking for solitude and a complete escape. There are no restaurants or shops. Finally, there is Isla Popa, the second largest island in the archipelago. Here there are five Ngobe villages, making it a good place to explore and interact with the indigenous culture. There are some accommodations on the island although it is not as developed as some of the others. The Islands of the Bocas del Toro Archipelago offer adventure, luxury, solitude, stunning natural beauty and much more. Without a doubt, there is something for every kind of traveler.